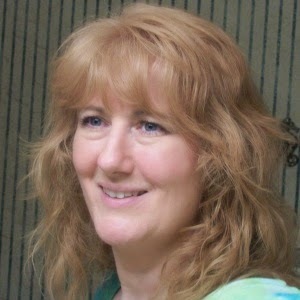 Hi, I’m ShellyB the “woman behind the curtain” here at Spiffy Pet Products. All my life I have been an pet junkie. At various times and places I have shared my life with horses, dogs, cats, birds, bunnies, chickens, pet rats, a ferret, snakes, mice, gerbils, toads, frogs, salamanders, hamsters, hermet crabs and multiple tanks of fish. Because my daughter and I currently travel while homeschooling and working online, our menagerie is limited to critters who can easily move about with us. Our family includes Bodacious (The Bobo Dog), Lelu the Empress of Cats and two African dwarf frogs named Fred & Ginger. Following your passions is important in both business and life. And so, Spiffy Pet Products was born to help you better care for your furry, feathered or scaly friends. We sift thru the bewildering array of pet stuff out there to find the gems, the “Spiffy” products, worth your taking the time to look at. We find the sturdy, sparkly and spectacular pet products that may slip under your radar. So grab yourself a cup of your favorite beverage (remember, nothing caffeinated or carbonated if your parrot is gonna share it with you LOL), kick back and let us blow your mind with the most Spifftastic pet products online today. P.S. If you have a Spiffy Pet Product you’d like us to review feel free to contact us. We can’t promise inclusion but we’ll be happy to give it a “look-see”.